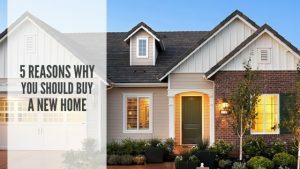 New construction homes offer a lot of benefits to homeowners, mainly the ability to enjoy the home from the moment you move in. Here are a few obvious and not-so-obvious features of new homes that buyers are usually drawn to. Homes are like design time capsules, filled with the design touches that were popular at the time they were built (like brass fixtures). No one could anticipate how technologically advanced we would become just a few decades later! However, today’s homes are built to support how we move and function in our homes. With plenty of outlets for our tech-heavy lives, wired for WiFi and other smart devices. Energy-efficient features, and open floor plan layouts that make entertaining a breeze and gives homes a feeling of spaciousness without the added footprint, today’s new homes are the perfect fit for our ever-evolving lifestyles. New homes are typically built in planned communities that include community amenities that aren’t readily available in older neighborhoods, like community pools and neighborhood playgrounds and parks. These communities are also often located near shopping centers, schools, other recreation facilities, and freeways for easy commuting. Depending on the stage of construction of your home, many builders offer homebuyers the opportunity to customize their home, from the location of specific rooms (or removing a wall) to selecting design fixtures to put a personal stamp on their home. A big draw of purchasing a new home is the builder warranty. Not only do you get the peace of mind of knowing your home is covered during the first year of ownership. Not only that, you’ll also be relieved knowing that any major maintenance jobs won’t be needed for several years to come. There’s nothing like the new home feel, and those feels are multiplied when you’re the first person to live in the home. Being the first to live in a home means you get to enjoy your home at it’s best from day one. It also means you don’t have to spend time renovating the house to make it fit your design vision. Is this the year you become a new homeowner? Your new home awaits! Find your dream home in any of our Central Valley communities. Visit FCBHomes.com to learn more about our vibrant communities and homes today.